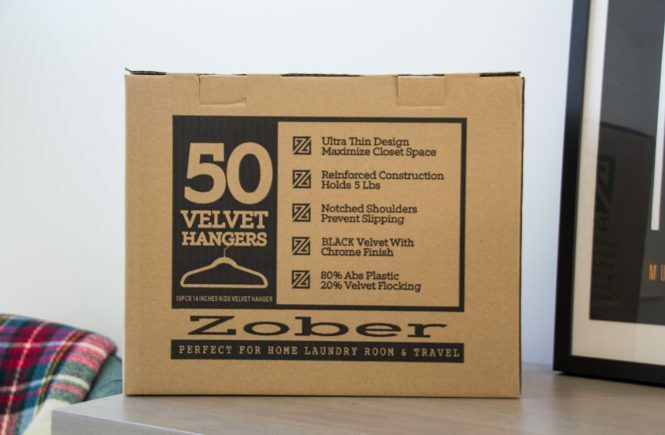 Over the years, I’ve been a big fan of the Real Simple black slimline velvet hangers. You know the ones I’m talking about – the ones that Bed, Bath & Beyond sells in bulk (thank you 20% off coupons!) and that Amazon has replica (read: less expensive) versions of aplenty. 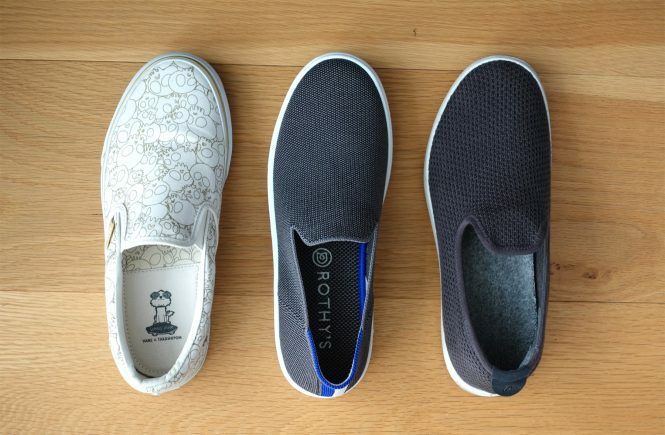 They’re simple, non-slip, and help provide a sleek look to any closet. However, as a petite-ish individual, I’ve noticed my jackets’ shoulders become misshapen over time due to the width of these slimline hangers. 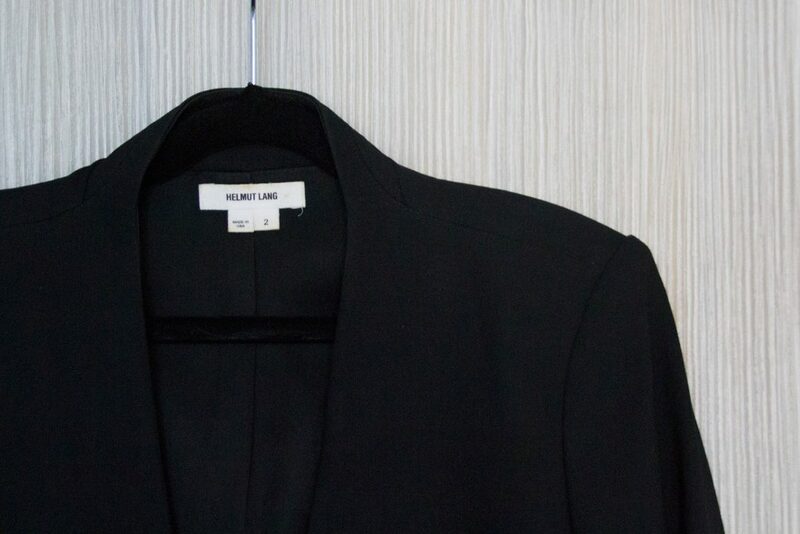 These hangers measure 17″ across, and most of my blazers and jackets had a 15.5 – 16″ shoulder width. Not a huge difference, but enough to notice little bumps sticking out of my shoulders when wearing those jackets. 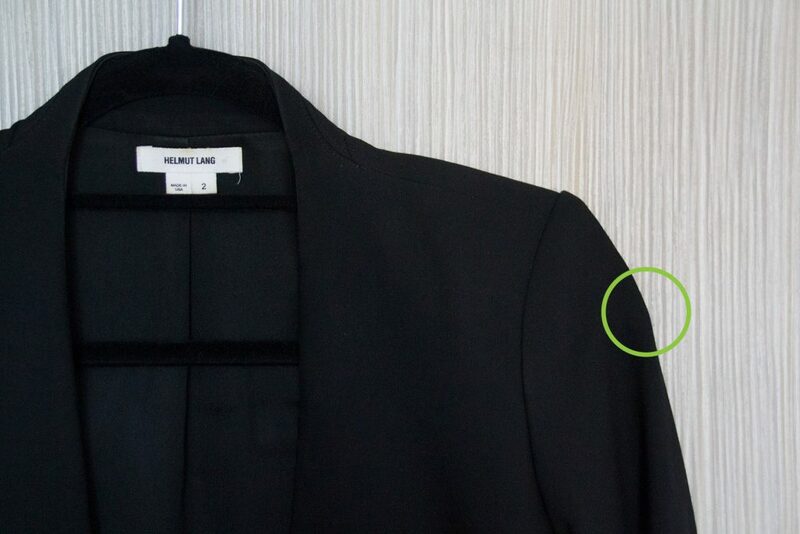 Above: In the green circle, you can see a bump created by the hanger poking out of the sleeves of my jacket. I first tried using old kid-sized hangers I had from long ago, but they were comically small. This resulted in my jackets slipping completely off the hanger. So I wanted to find an alternative that was somewhere between 11″ and 17″ wide, and ideally would match the rest of my existing black hangers. After extensively searching Amazon for “petite clothes hangers” and “junior sized hangers” and scouring many descriptions and reviews, I found a set that fit the bill quite nicely. These 14″ wide hangers are marketed as “kid sized” and not petite – but they’re definitely bigger than most children’s hangers which are 11″ across. Though I would like them to be maybe 1″ wider, they’ll do just fine for now! You can find them on Amazon for about $17 – $20 per set of 50. Specifically, they are the ZOBER Kids Hangers. 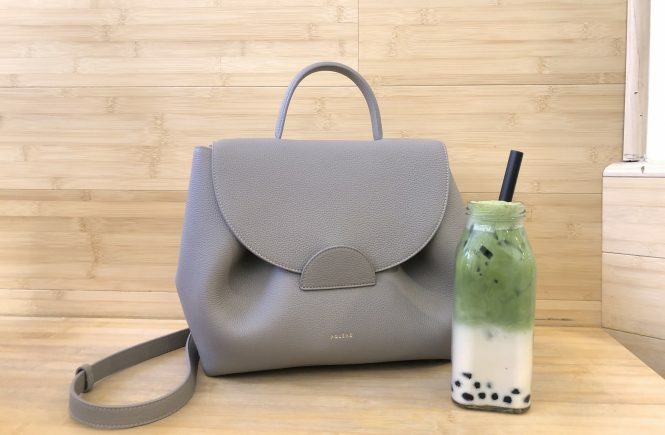 I like that they not only have the pants bar, but also a hook that swivels. 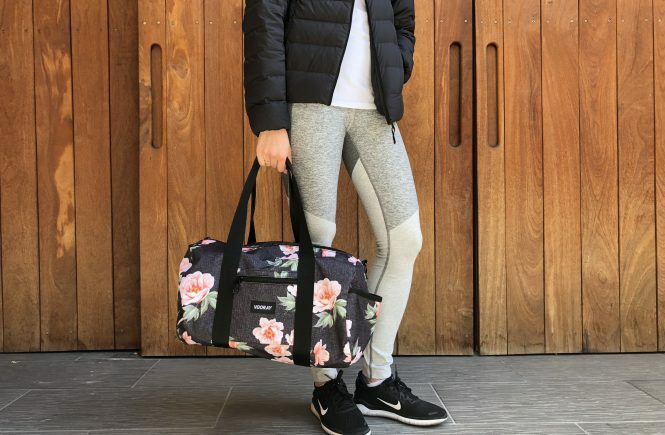 If black isn’t your cup of tea, they offer beige and hot pink options as well. 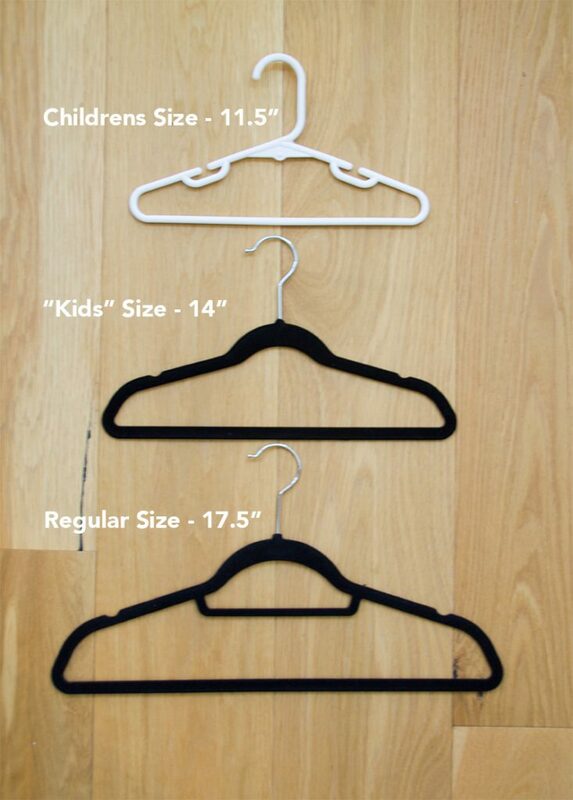 Above: Comparison of different hanger sizes, with the middle one hitting the sweet spot for petite clothing. Above: Much better! 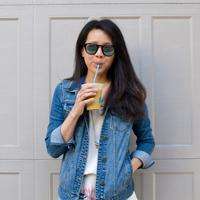 The sleeves hang down nicely without any obstruction from the petite-sized hanger.